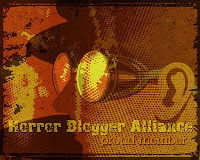 It was my aim this year to stay more up to date with current horror themed video games, my plan was to buy one a month so I can give a timely review. It all started well with the excellent VR treat Resident Evil 7: Biohazard in January, Berserk and the Band of the Hawk was the game I brought in February but a series of constraints meant I had to wait until now to finish playing it. This was made by the people behind Dynasty Warriors and so it takes the form of huge battles against thousands of enemies in war like settings. 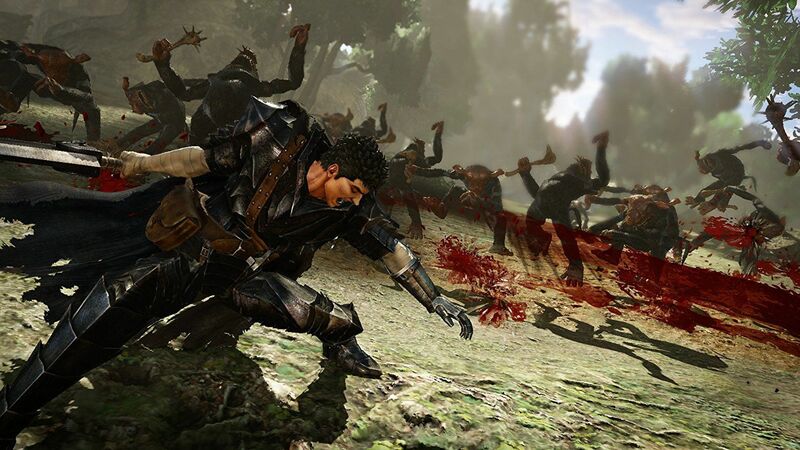 In the story mode you play as Guts who starts the game being forced to join a charismatic mercenary named Griffith and his group who are known as the Band of the Hawk. The game covers all three films showing Guts ascent through the ranks, and the ultimate betrayal that occurs during the iconic eclipse moment. I had expected the game to end at this point but it then goes on to cover the events of both season 1 and season 2 of the latest Berserk show, and actually finishes past the end of the second season of the anime. For someone who had only seen last years anime before playing this it was a revelation to me to discover how Guts came to be the cursed sword man, and also how little monster type stuff was in the world before the Eclipse event. It gave me so much insight on the show that it feels crazy now to think how much I was missing out on. This brought with it new issues though, I was halfway through the game when season 2 came out and I swiftly realised that the game was going to include (the then) new seasons events and so I had to make a decision to stop playing it as I didn't want the show ruined. I have played the Dynasty Warrior style of game before and so I knew what to expect from this one. Each of the 46 levels sees you as Guts (except for a couple where you get to play as other characters) battling soldiers, monsters or other attackers in a variety of locations. In general each mission takes anywhere from five to fifteen minutes to complete, there were some exceptions such as one near the games finale that took me 45 minutes to do. This is pretty brain dead in that you can literally just use the one attack over and over again for the entire game. There are combos you unlock but I found it far simpler just to keep pressing square over and over again. 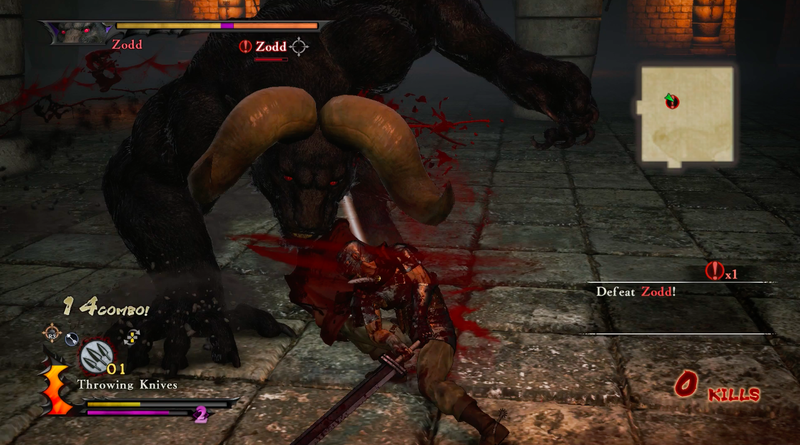 For me I just wanted to be Guts in his Black Swordsman guise with his almighty Dragon Slayer sword, he is an awesome character so just being able to take on hordes of enemies was enough to please me, especially with the great sounding sword. As well as heavy and medium attacks you also get access to a variety of special weapons, these include an arm cannon, bombs, throwing knives, and a crossbow. Once you get enough rage built up you can also access a fury mode that makes you a lot stronger and gives you the opportunity to do a screen clearing attack, complete with zoom in to Guts face as he unleashes the move. You also get to ride a horse during some levels but fighting that way is awful so I always ditched my steed. Due to wanting to play as Guts so much even on the very rare occasion you can play as another character I didn't want to, so I kept him, levelling up as I went along and getting items to help my character be more powerful. At key points in the story his look changes which was also appreciated. Once the game is finished there is a mode called Endless Eclipse where you fight through 100 increasingly hard missions, here you can play as any character, even including Zodd and so when I went to go back to the game that is what I shall play. One of the reasons I enjoyed playing this so much was the story. The events that take up the first three films includes two hours of beautiful anime cutscenes lifted from the films. I loved watching this and finding out the deeper parts of the story, and it also gave great motivation for the battles you take part in.The Eclipse was my favourite part of that with a twenty minute cut-scene showing the horrors of it all. Sadly there is a huge disjoint once the films arc is over. The events of season 1 and 2 are both shown via in game engine and look far worse as a result, it would have been nice to be able to use the anime to show the story as it felt so weird to have these beautiful story parts be replaced with ugly graphics. Also while I do love the Japanese language it was hard to keep up with the story that takes place during missions as you have to take your eye off what you are doing to read the text at the bottom of the screen. There are plenty of conversations that take place between missions that helped to flesh out the characters you meet a bit. Missions are pretty much all similar with some mild variations. Usually you just have to kill, kill, kill with the pretence of occasionally protecting other characters or escorting them. Levels much like Dynasty Warriors are bland and functional with cities no more than square streets, and woods, and even the demon world all looking kinda the same. I was pleased with the amount of variation in the enemy types though. Starting off fighting mainly human soldiers and bandits there is the introduction of more demonic characters such as ogres, ghosts crocodile men. All the way up to the last missions new enemy types are being introduced and while they attack pretty identically it helped things feel fresh. In terms of that I played on normal and found the whole thing to be a cake walk, I never died once but I did like the empowering feeling I got. There are a multitude of boss fights against key soldiers, the expected antagonists and huge monsters. These were all from the lore and for the most part were bearable, though it is far harder to attack the bosses due to the power they have. This comes to a head in a truly miserable boss fight that takes place during the Eclipse sequence. The boss itself isn't that strong but he was protected by whirlwinds that would fling you away from him, while the whole fight you have been cursed with extreme slow movement making for a very frustrating battle. 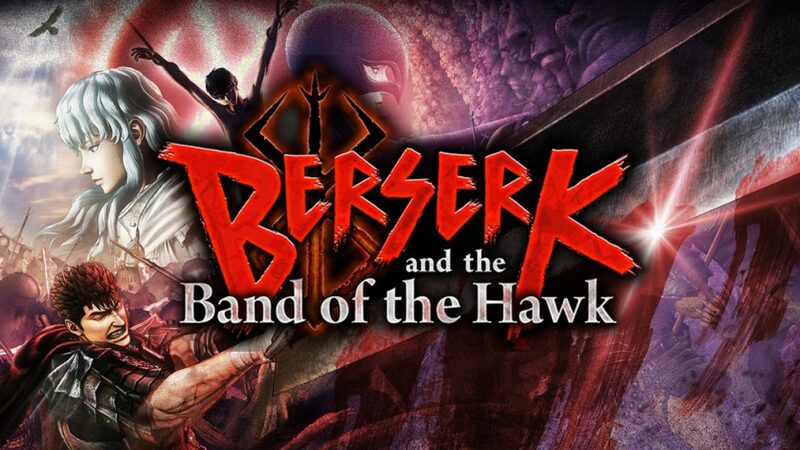 If anything Berserk and the Band of the Hawk has really made me want to see the films proper, I found it a lot of fun to play as Guts and this is a lengthy game for this type of style. I was constantly surprised how long the game went on for and the Endless Eclipse mode means there is a lot more game to play if I ever want to return. If you don't like the Dynasty Warrior style of game then there wont be anything for you here, the graphics can be rough at times, and the variety is poor but it is value for money.